East Antarctica: The coldest, most desolate location on Earth. 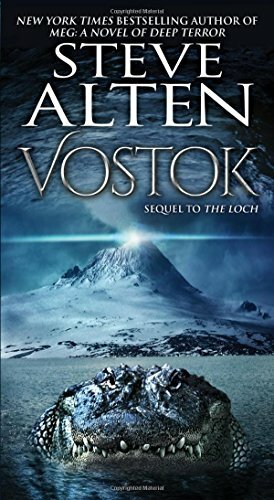 Two-and-a-half miles below the ice cap is Vostok, a six thousand square mile liquid lake, over a thousand feet deep, left untouched for more than fifteen million years. Now, marine biologist Zachary Wallace and two other scientists aboard a submersible tethered to a laser will journey 13,000 feet beneath the ice into this unexplored realm to discover Mesozoic life forms long believed extinct–and an object of immense power responsible for the evolution of modern man.